A website aiming to preach to new prospective devotees. 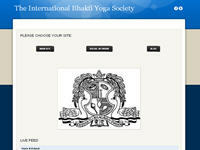 It also aims to create a Bhakti Yoga Society that unites all devottees and prospective devottees around the world. Category Preaching August 26, 2012 by ISKCON Desire Tree.